The first reactions were predictably negative. Protesters said Macron is still out of touch. La Marseillaise, France&apos;s national anthem, and chanting, "Macron Resign!" 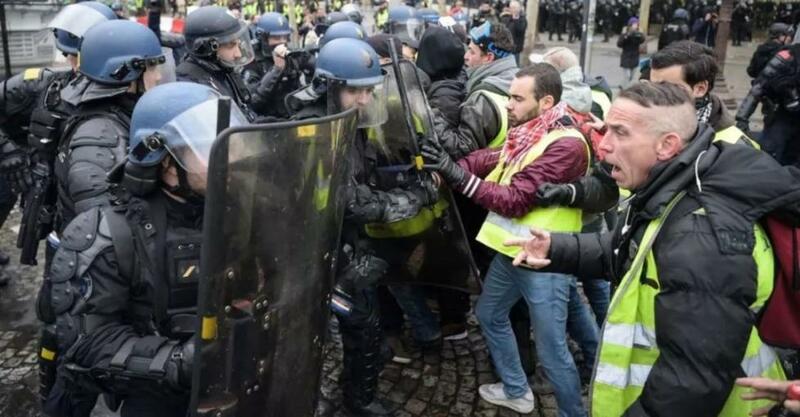 The French interior ministry said at least 75,000 people had turned out across France for the latest "gilets jaunes" (yellow vest) rallies. 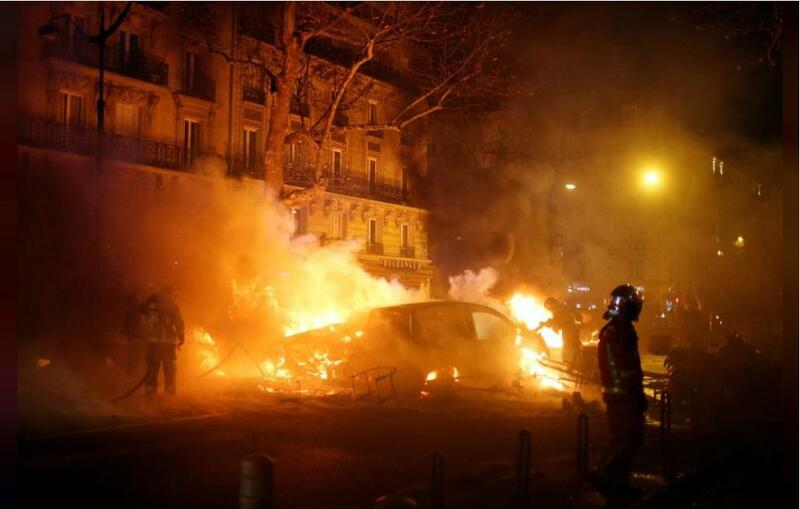 A third week of anti-government protests intensified in violence on Saturday, as demonstrators burned cars, smashed windows and confronted riot police firing tear gas in the heart of Paris. Protesters have scaled the Arc de Triomphe in central Paris, as clashes with riot police continued during a third weekend of "yellow vest" rallies. Most demonstrators insisted that they were peaceful. "We are not here to pick a fight with cops, We just want the government to listen to us," one of their spokespeople, Laetitia Dewalle, told AFP news agency. 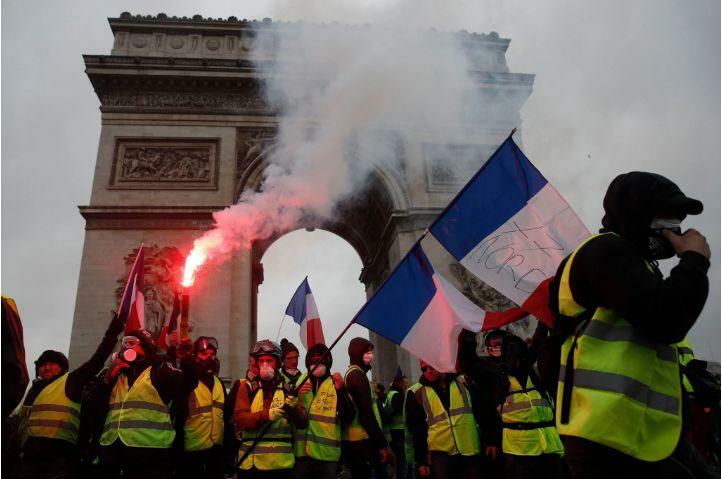 Police fired tear gas, stun grenades and water cannon on the Champs-Elys�es, while masked protesters hurled projectiles and set buildings on fire. 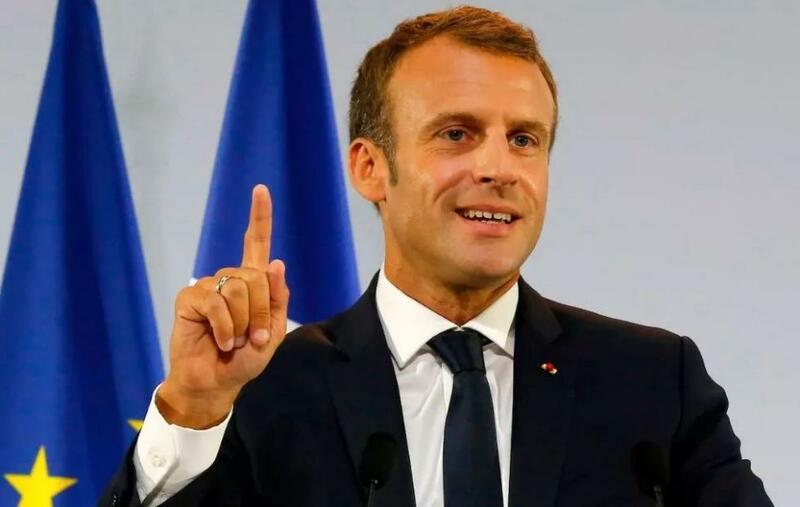 It&apos;s about the economic policies of President Emmanuel Macron in the face of growing frustration from low- and middle-income workers about making ends meet. 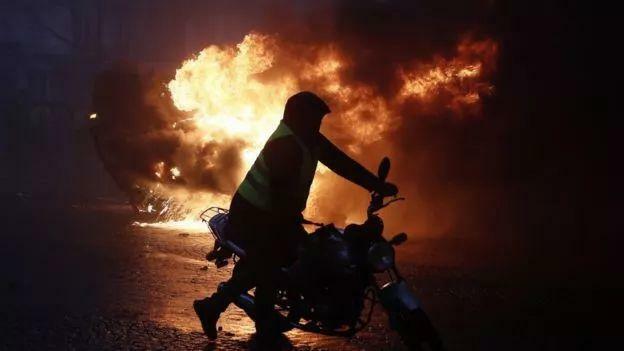 Groups of young men with faces masked, some carrying metal bars and axes, rioted on the streets of central Paris on Saturday, setting a dozen vehicles ablaze and torching buildings, unleashing the city&apos;s worst urban unrest for years. It is quite clear there were agitators or "casseurs" at the sharp end of the clashes with police.